A mobile app for downloading, watching, and sharing videos even with limited data or a slow connection. When our YouTube research team met with Indian users in 2014, we heard a common complaint: YouTube’s data usage was mysterious. In interviews, people described how they could buy a 100MB data pack, stream a video, and unknowingly deplete an entire data pack in one sitting. Similar stories poured in from countries like Brazil and Nigeria. One 20-year-old aspiring entrepreneur from Lagos said he avoided opening the YouTube app altogether. When we asked him why, he responded that “data just flies away.” Across India and Indonesia, YouTube users experienced similar frustrations. “That data is burnt,” said a 24-year-old IT specialist from Jaipur after she streamed a music video. We knew that adding or subtracting features from YouTube would not be enough—we needed to reimagine the app’s experience from scratch. This is the story of YouTube Go, a two-year journey that resulted in a video streaming app specifically for emerging market users. While developing the app in the field, we established five key principles for building products for global audiences. 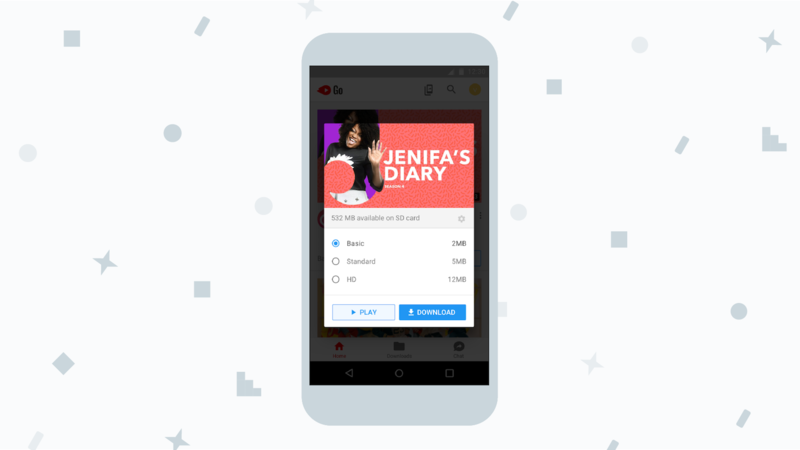 Though YouTube Go’s features may not apply directly to your product, these takeaways can help guide your team’s user research and product development approach. Realizing that data usage was mysterious, the YouTube Go team redesigned the home feed of the app to show exactly how much data each video will cost. In this example, downloading the selected video will cost 2MB. User feedback was essential in YouTube Go’s early design phase. We wanted to make video consumption more affordable, so our first concepts featured lower-quality videos. Our research team tested a design displaying low-resolution key frames overlayed with an audio track. Users could view the core information—audio and key frames describing the video—without having to spend as much data. 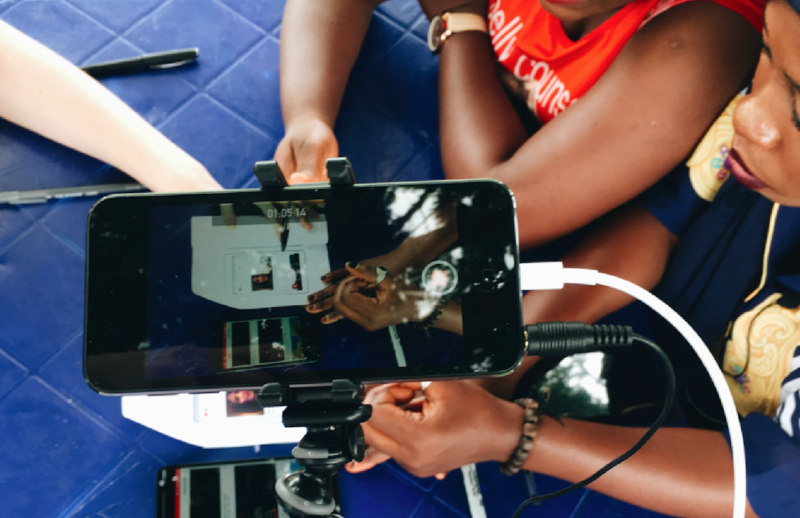 A research participant in Nigeria demonstrates her video streaming habits. Just because I have less data, does not mean I want a bad experience—video is video. Unsurprisingly, participants reacted strongly against this concept. Users had downloaded high-quality videos before and, naturally, did not want to settle for a lower-quality product. Inspired by these conversations, we pivoted our designs and explored options for delivering an improved experience in spite of data and connectivity constraints. According to a recent study, ninety-six percent of people in India use prepaid data plans. Indian internet service providers have drastically reduced the price of data, but prepaid plans are still popular because people are accustomed to them. YouTube’s research participants described buying data from a local kiosk and carefully planning how to spend it. Many people said they avoid data-heavy activities like streaming videos, which can consume the daily allotment of data in less than an hour. As we continued our research, we watched participants search, start a video, quickly realize it was not what they wanted, and click on another result. Some people peeked at the video without watching it entirely. Our team learned that viewers need more than just a thumbnail to decide whether a video is worth a data investment of 200MB. To solve for this we developed “video preview,” a new feature that allows users to glance at the key frames of a video and get a better sense of what the video is about, before deciding if they want to spend data to stream or download it. The preview modal also includes the size of the file, allowing users to calculate the exact cost of the video. For those users buying small amounts of data every day, this awareness can help them maximize the media they download with their data. Video preview helps users decide if they want to watch the content and how much data it will cost. In this example, a user can choose to save money by selecting the 2MB basic quality video instead of the standard (5MB) or HD (12MB) version. 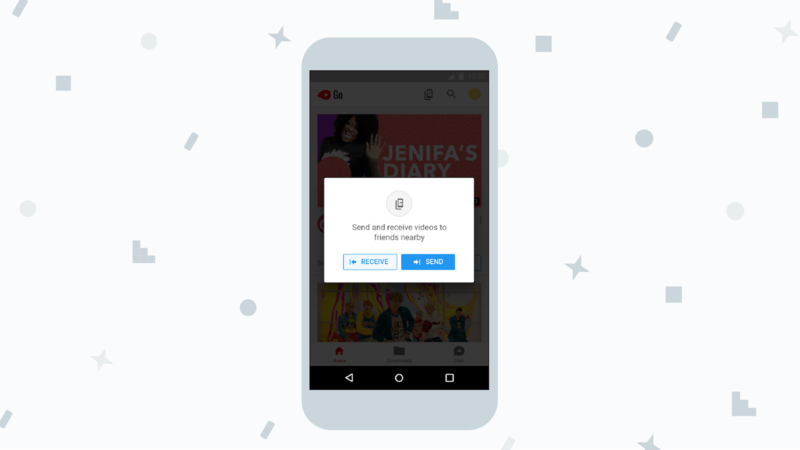 Throughout India, Nigeria, and Indonesia, we noticed that participants often searched their friend’s video gallery rather than browsing the internet, because it offered a curated list of options. While YouTube suggested content, users preferred recommendations from people they already knew. Finding information from local resources and recommending content in social settings is so common that our team coined the term “Human Information Network” (HIN). In this network, people rely exclusively on each other for directions, recommendations, and news. When we began building YouTube Go, we realized we needed to leverage this network in order for the app to be relevant to our users. 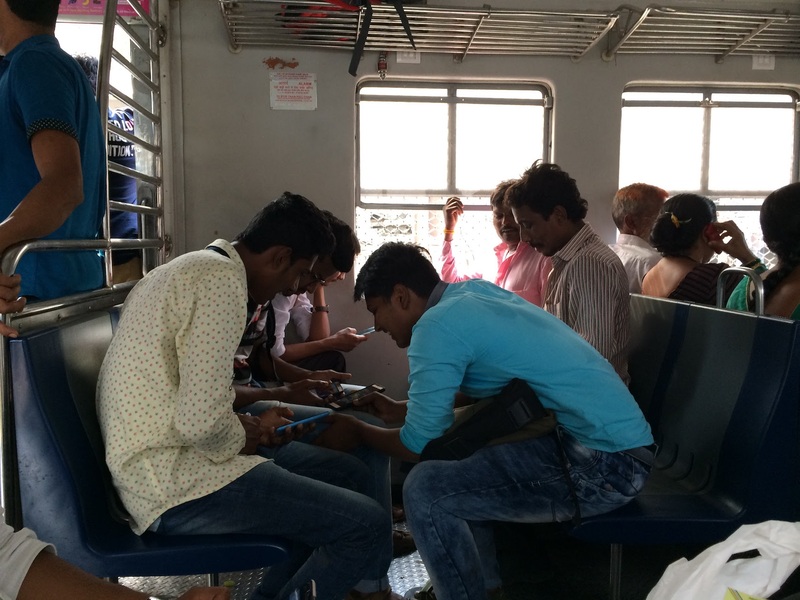 To ease the boredom of long commutes, strangers in Mumbai create hotspots to connect their phones and exchange downloaded videos and songs with one another. In HINs, friends not only recommend videos but share them as well. Despite unreliable networks, interview participants told us they were already finding ways to share their favorite videos without investing data. Participants showed us how they downloaded videos when they had Wi-Fi then shared the media offline through exchanging SD cards or sideloading: a process of transferring files between two nearby devices. Our YouTube team explored ways to extend this HIN and developed a feature called “nearby sharing” which enables users to wirelessly transfer offline videos to other people’s devices. For example, after downloading a video, users can open the sharing menu to see who’s in the vicinity and tap a name to send the video by creating a local and secure Wi-Fi network. 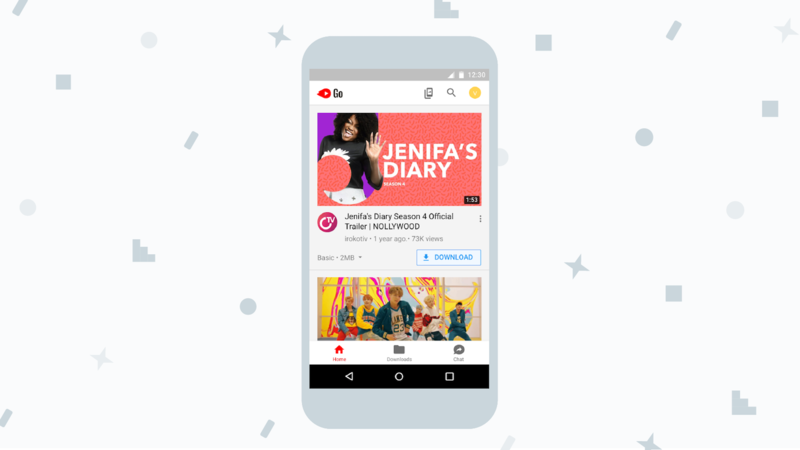 By learning directly from participants and seeing how they share information, news, and internet content, YouTube Go expanded the amount of available content in the offline sharing ecosystem. With the “nearby sharing” feature (shown above), users can send saved videos to friends who are close by, without Internet. This feature works by notifying people in the vicinity that users are ready to send or receive files. When users tried to watch videos on YouTube over spotty connections, the app perceived that they were offline and sent an error message to try again later. Our team understood this was not a good experience, but also knew that users spend significant time offline during their day. We wanted to ensure that people could use the app regardless of their network connectivity. During initial research, we noticed a trend where people downloaded music and videos to prepare for times when they were offline. In beta-testing, however, we learned that this behavior was more than a trend, it was one of the most common actions we observed. Responding to this discovery, we designed more visible UI elements that encouraged users to download videos so that they could consume them later while offline. We added an option to download videos with one tap on the home feed and we also enabled users to download content in bulk, allowing them to save several videos at once. YouTube Go doesn’t treat being offline as an error state—users can search, download, and manage content with spotty connectivity. In conversations across India, Nigeria, and Indonesia we found that YouTube content didn’t always feel relevant to users. In addition to international content, users wanted to watch videos that were popular in their region, but couldn’t easily find these options on the homepage. We needed to do a better job of incorporating cultural norms and expectations into YouTube Go, so we designed an experience that tailors video recommendations to user preferences, in people’s own language. We also created a home screen that features trending and popular videos in the user’s region. By glancing at the home screen, people can find and discover videos that are relevant to their community. Conversations with the people who use our products to better understand their day-to-day lives inspired the creation of YouTube Go. The app’s initial success is inspiring, and demonstrates the need for more global products that support data saving and content discovery in locally relevant ways. Now that we’ve launched in India, Nigeria, and Indonesia, we’re working to meet our users in other countries, and we encourage you to do the same. For additional articles on Google’s global methods, visit our UX for the Next Billion Users collection.